Cryptonian Traders Ltd - Cryptonia.cc, Multiple Plans - PM, Payeer, Bitcoin, AdvCash. CRYPTONIA works with the world cryptocurrency exchanges which have confirmed its status for a long time. Professional traders in our team are engaged in sales at the cryptomarket for several years. During this time they had their own profitable schemes in work which help to increase the capital. Each investor in our company can become a professional and confidently to strong its positions at the exchange market of cryptocurrency. 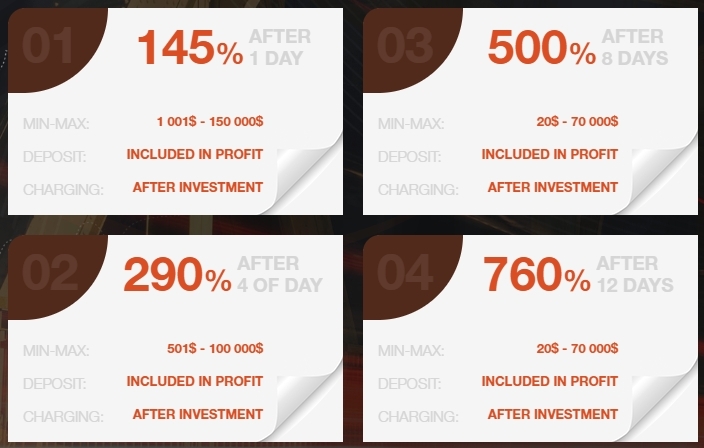 Managing by the crypto-assets, we constantly increase financing of our project for realization of the perspective ideas, and we undertake obligations for safety and multiplication of your capital. The crypto-asset is your financial instrument of a contribution to our company which provides the status of the partner with an interest rate for a passive profit. We take the responsibility not only for the level of your income, but also for risks, which can arise during the work with cryptocurrency. Our task is not just customer acquisition, and business partner who get a constant percentage of profit thanks to its investments. The amount of 140 USD has been withdrawn from your account. Accounts: U1329860->U16199671. Memo: Shopping Cart Payment. 0afca62e5e2cf7767cc7009d9ae84***.. Date: 10:03 23.05.18. Batch: 215545197. Cryptonia	+31.8 Received Payment 31.8 USD from account U16199671. Memo: API Payment. 783 0 Cryptonian Traders LTD.
Cryptonia	+8.00 Received Payment 8.00 USD from account U16199671. Memo: API Payment. 783 0 Cryptonian Traders LTD.